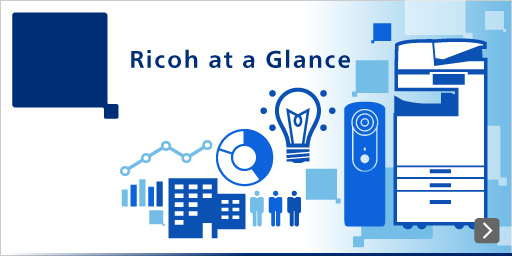 The Ricoh Group aims for continuous improvement based on the values embodied in The RICOH Way. That includes operating an internal control system designed to strengthen competitiveness while maintaining transparency based on principles of corporate ethics and legal compliance. Ricoh has established the Ricoh Group Corporate Management Principles as a set of guidelines for corporate activities, and follows the Internal Control Principles included therein. The Group Management Committee (GMC) was established to oversee the Group's overall business operations and to enable quick analysis and decision making to ensure the best result for the Group as a whole. The Internal Control Committee was established within the GMC to determine action policies, report incidents, and evaluate and correct the control system regarding internal controls, risk management and compliance in particular. Corporate Management Regulations for Ricoh Affiliates stipulate the establishment of a supervising organization to oversee risk at all Ricoh Group companies. The Ricoh Group Standards (RGS) have been established as a set of common rules for all Ricoh Group employees to follow, and adherence to these rules across the Group is ensured. A disclosure policy has been established to ensure that corporate information released by the Group is accurate, timely and comprehensive. A Disclosure Committee has also been set up, with the CFO (who is the chief officer responsible for information disclosure) as its chairperson. The Committee is charged with determining and judging the importance of information to be disclosed, necessity of disclosure and adequacy of content being disclosed. Integrated internal audits (J-SOX* audit, financial audit, operational audit, etc.) are conducted to ensure the reliability of our financial reports, improve operational efficiency, confirm compliance to laws and regulations, and to confirm that risk management measures are being implemented properly. The Fraud Risk Management (FRM) program of the Ricoh Group has been deployed to prevent fraud risk and adopts a check sheet and tools to detect anomalies within large volumes of data in the integrated internal audit. Financial Instruments and Exchange Law of Japan requires listed companies to disclose the assessment of effectiveness of their internal control over financial reporting. The legislation is considered the Japanese version of the Sarbanes-Oxley Act (SOX) enacted in the United States and known as “J-SOX”.